Do you feel a little overwhelmed by the number of chores you have to do around the house every week? From cleaning the bathroom to washing the sheets, it seems there’s a never-ending list of cleaning tasks that must performed. But the good news is that there are quite a few chores that only need to be completed annually. Here’s the rundown on the things you only need to think about once a year. Hopefully, it will make all the other chores seem more manageable. With colder weather just around the corner, it’s time to clean the fireplace and chimney. Schedule an appointment with a professional to have the flue checked and cleaned. Clean andirons and fireplace tools. When using your fireplace for the last time as the weather warms up, make sure to clean up and vacuum away all the ashes. Obviously you need to keep up with vacuuming your rugs and carpets regularly. But you only need to deep-clean them once a year. Hire a professional or rent a cleaning machine from your local home center or grocery store. Move furniture out of the way to get an even clean, and wait until the carpets fully dry to put it back. Give your outdoor furniture a thorough cleaning when you’re getting ready to use them in the spring. Vacuum cushions and remove stains. Use a solution of warm water and dishwashing liquid to wipe down wicker, plastic, and wood furniture. This task is best done on a sunny day when the furniture will dry quickly. It’s surprising how dirty curtains, shades, and blinds can get in a year. Wash or dry clean your curtains as advised on the tags. For dusty shades, vacuum them with the upholstery attachment. Use a microfiber cloth to get at the grime that accumulates on your blinds. Vacuum all sides of the mattress and wash the cover if it has one. Treat stains with stain remover and let them dry thoroughly. 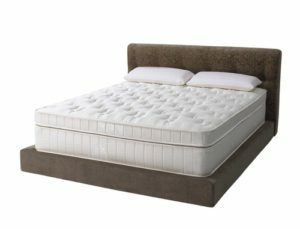 Flip or rotate mattress so that it wears evenly. While you may want to clean the inside of your windows more frequently, the outside of the windows can be handled once a year. Use a mixture of hot water and distilled vinegar and clean with a sponge, or use a squeegee. It’s best to clean windows on a cloudy day so you get a streak-free finish. We know this is where you hide all the things you don’t know what to do with. Take time once a year to clean and organize your basement and attic. Sweep away dust and insects and purge items you no longer need or use. Donate items that still have life left in them. Finally, take time once a year to go through all the paperwork that has accumulated over the last 12 months. It is kind of amazing how much can pile up, and most of it is not needed for the long term. Keep what you need for your taxes or other important purposes, and discard the rest. Be sure to shred any documents that have sensitive information on them.